Anorexia nervosa evolves from a dangerous mental state to an often life threatening physical condition. Anorexic people think they are fat and intensely fear obesity and weight gain. They lose much more weight than it is healthful. Although food is entwined in anorexia, it stems more from psychological conflict. About 7 percent of people with anorexia die within ten years of diagnosis- from suicide, heart conditions and infections. About one quarter of those with anorexia nervosa recover within six years whereas the rest simply exist with the disease or go on to develop another form of eating disorder. The longer someone suffers from this eating disorder, the poorer the chances for complete recovery. A young patient with a brief episode and a cooperative family has a better outlook than those without these factors. Prompt and vigorous treatment with close follow up improves the chances for success. An irrational, almost morbid, fear of obesity and weight gain. Anorexic patients irrationally believe they are fat, even though others constantly comment on their thin physique. Some anorexics realize they are thin but are habitually haunted by certain areas of their bodies that they believe to be fat- such as thighs, buttocks, and stomach. False body perception- like am too fat- even when extremely underweight. Rigid dieting that causes dramatic weight loss, generally to less than 85 percent of what would be expected for one’s age (or BMI of 17.5 or below). Feeling of panic after a small weight gain; intense fear of gaining weight. Feeling of purity, power and superiority through maintenance of strict discipline and self denial. Preoccupation with food, its preparation, and observing another person eat. Helplessness in the presence of food. Possible presence of bingeing and purging practices. Maintenance of rigid control in lifestyle; security found in control and order. Rituals involving food, excessive exercise, and other aspects of life. 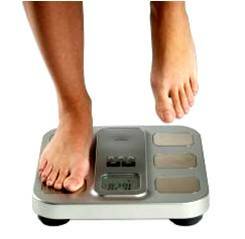 Anorexia nervosa may begin as a simple attempt to lose weight. A comment from a well meaning friend, relative, or coach suggesting that the person seems to be gaining weight or is too fat may be all that is needed. That stress of having to maintain a certain weight to look attractive or competent on a job can also lead to a disordered eating. Physical changes associated with poverty, the stress of leaving childhood, or the loss of a friend may serve as another trigger for extreme dieting. Leaving home for boarding school or college or starting a job can reinforce the desire to appear more ‘socially acceptable’. Still, looking ‘good’ does not necessarily help people deal with anger, depression, low self esteem or past experiences with sexual abuse. If these issues are behind the disorder and are not resolved as weight is lost, the individual may intensify efforts to lose weight ‘to look even better’, rather than work through unresolved psychological concerns. During adolescence, teenagers’ bodies are changing, and much of this change is beyond their control. In response to lack of control and coping mechanisms, dieting may start and then lead to a failure to gain appropriate weigh-for-height. Teens with chronic illnesses, such as type 1 diabetes or asthma, are at even greater risk for disordered eating. Any evidence of poor weight gain/maintenance or excessive fitness among these individuals needs to be investigated as possible disordered eating. Extreme dieting is the most important predictor of an eating disorder. Adolescents expressing concerns about their weight should be advised to focus on exercise, which does not appear to impart a risk for subsequent problems. Once dieting begins, a person developing anorexia nervosa does not stop. The result is long periods of rigidly self/enforced semi-starvation, practiced almost with a vengeance, in a relentless pursuit of control. Anorexic condition may eventually lead to bingeing on large amounts of food in a short time, then purging. Purging occurs primarily through vomiting, but laxatives, diuretics, and enemas are also used. Thus a person with anorexia may exist in a state of starvation or may alternate periods of starvation with periods of bingeing and purging. People with anorexia often sink into shells of isolation and fear. Treatment of this condition requires a multidisciplinary team of experienced physicians, registered dietitians, psychologists, and other health professionals working together. An ideal setting is an eating disorders clinic in a medical center. An individual begins with an outpatient therapy of 3 to 5 days per week. Total hospitalization is necessary to persons who fall below 75% of expected weight, experiences acute medical problems, or exhibits severe psychological problems or suicidal risk. Physicians will attempt to restore a sense of balance, purpose, and future possibilities.